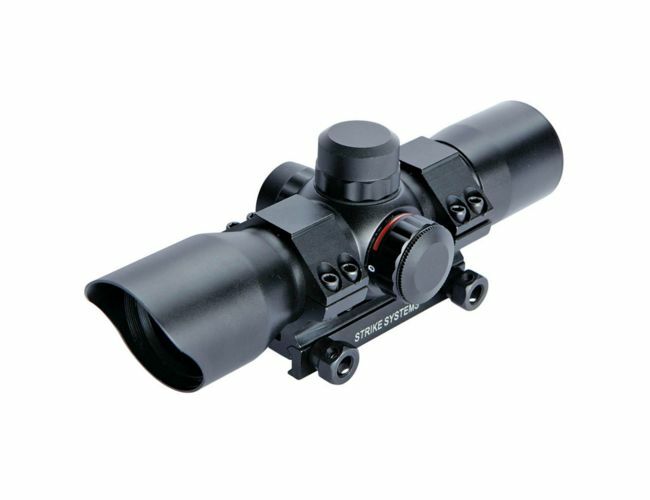 Our Streamlined low profile 30 mm red/green that is made of anodized aluminium , sun visor and protection caps.You can choose a red or green dot and vary the brightness . It is very adjustable for wind age and elevation. For any gun with 21 mm rail. This is a very sturdy scope and great for Airsoft and Air guns.Comes with mounting bracket. that will fit onto to any 21mm picatinny /Weaver accessory rail.